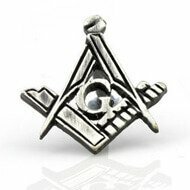 The content of the Masonic Jewellery policies incorporated in this website and any specific terms arranged between Masonic Jewellery and the client form part of the terms and conditions of all orders made through the Masonic Jewellery website (www.masonicjewellery.co.uk). You (the customer) are deemed to have read all the terms and conditions including all policies displayed on this website and are deemed to have accepted them. 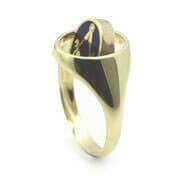 Masonic Jewellery head office is located at 21A Vyse Street, The Jewellery Quarter, Hockley, Birmingham, B18 6LE. 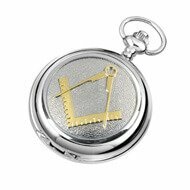 All orders made through the Masonic Jewellery website and all incidental agreements and matters are governed by the laws of England and Wales. 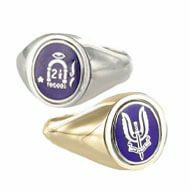 Masonic Jewellery reserves the right to correct, update, modify or otherwise change the terms and conditions of sale, information, and prices at any time on our Website at our sole discretion and without notice. 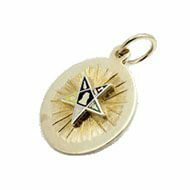 Masonic Jewellery or its employees shall not be held liable for any indirect, incidental, punitive or consequential damages arising directly or indirectly from the use of any of the information contained in or received from this site. Using your supplied details we will notify you as soon as possible to confirm receipt of your request. We will then prepare your order based on the quoted prices and the contract for the sale of the goods shall be formed. Dependent on your instructions we will supply the goods to you in accordance with your final order and these Terms and Conditions. Client satisfaction is our main priority. We guarantee all our products will be delivered to you in new condition without damage or fault in craftsmanship. Should a product be damaged or faulty in its craftsmanship at the time of delivery to you (the customer), you may return the product to us (within 14 days of the delivery date) to have the product replaced, repaired or receive a refund of the purchase price (at the discretion of Masonic Jewellery). This guarantee will not apply if the product is damaged after the date of delivery. See the Refund and Exchange Terms below in our Exchange and Refund policy. For Web Orders, we are able to accept payment by PAYPAL ONLY (although this may change). The currency charged for the transaction will be in UK Pounds (£). For overseas orders, we are unfortunately, not able to accept payment by international money order or international bank cheque. 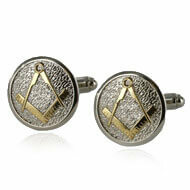 Masonic Jewellery reserves the right to refuse to accept any orders that we consider to be suspicious. For hhigh-value orders and for international orders that fall outside our credit fraud checking network, we reserve the right to take all reasonable actions to ascertain the authenticity of the purchaser and payment method. All goods remain the property of Masonic Jewellery until all monies owing are paid by the purchaser. Should a transaction be detected as a fraud at a latter date, Masonic Jewellery reserve the right to commence all legal action necessary to recoup all money owing including any legal expenses. All goods shipped to you are insured against loss and damage whilst they are in transit. Once you are advised (by e-mail, fax or phone) that your order has been shipped, we guarantee delivery of all items except in cases where the address supplied is incorrect, illegible, incomplete or if the recipient is away or has moved, in which case you will be liable for payment of the purchase price and shipping of the order irrespective of whether the order arrives on time or not at all. Please Note: We cannot guarantee the time of delivery. 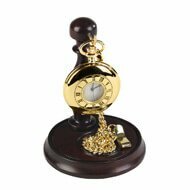 Once the product has been dispatched, you will receive confirmation of when your order was dispatched, and an approximate delivery date. If you require the goods by a specified date this can be discussed during the quote or order process. Masonic Jewellery will dispatch all orders free of charge within the UK. For all overseas orders a shipping and insurance charge will apply however this will be discussed with you prior to the order process. Any taxes and duties incurred through the shipping of goods internationally will be the responsibility of the purchaser. You may be subject to import duties and taxes which are applicable to all products imported into a country and are levied by the recipient country’s government. All additional charges for customs clearance, import duties and taxes are payable by you. Such charges are not included in the delivery fee or purchase price of our products as these vary from country to country. We have no control over those charges and cannot determine what they may be. As customs policies vary widely between countries, you should contact your local customs office for further information. If when you receive your product(s), you are not completely satisfied you may return the items to us within fourteen days to claim an exchange or refund. If the items are in stock returns will take approximately 5 working days (within the UK) to process once the goods have arrived. 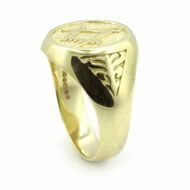 All Refunds/Exchange claims will be subject to Masonic Jewellery Refund and Exchange Terms. 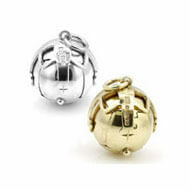 Masonic Jewellery has a simple returns policy to minimise the expenses for all concerned. If you contact us with a problem we will discuss the best course of action. 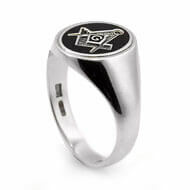 All shipping back to Masonic Jewellery is paid for by the customer. We are unable to refund your shipping fees incurred. It is the customer’s responsibility to choose products of their choice wisely. 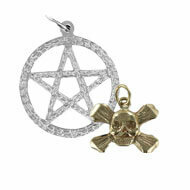 Exchange or refund will only be granted by Masonic Jewellery if the product is damaged or faulty. If you changed your mind and you no longer wish to keep the product, or if your circumstances have changed and you no longer require the product or if you have found and /or purchased a product elsewhere. Original, new and unused condition means there is no damage to any part of the product; scratches, marks or any other signs of wear or tear whatsoever. 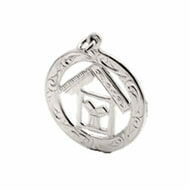 Masonic Jewellery will not accept any item with any indication that it has been used or worn. If an item is deemed to have been used, altered or damaged it will be returned to you (the client) and the full purchase price will stand, plus any shipping costs incurred during delivery of the return. If a product has already been shipped to you, the order will not be cancelled. If a client attempts to cancel an order more than one week after the order date, the cancellation may be refused by Masonic Jewellery. If the order is not refused and the cancellation is processed prior to dispatch, a cancellation fee of 20% of total sale price will apply. 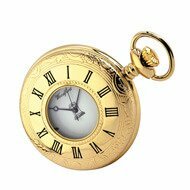 It is imperative you contact Masonic Jewellery if you intend to return an item for a refund or exchange. Contact can be made via mail, fax, phone or email and we will confirm whether you can return the item. This decision will be subject to our Refund and Exchange Terms. Please note for international customers the return instructions are important to minimise your costs for the return delivery fees and any other applicable customs fees. We strongly recommend you fully insure the goods packaged, you are returning. We can suggest the use of a courier company we use, which provides reliable and efficient service. Masonic Jewellery will not be held responsible for any items lost or damaged in transit.